Unbelievable space in this 4 bed, 3 bath multi-level home. Massive living room on entry floor with full bath that has access to pool. Expansive dining room ready for all of your dinner parties. Real hardwood flooring. Kitchen features separate oven, microwave, cook top and dishwasher. Laundry room on main level for easy access. Master suite has private balcony. Recently added new roof and new HVAC systems. In ground pool ready for your summer fun. Detached garage with room for 4 cars. Home also features a drive under carport. Partial basement has been used as an office. Previous photo darkroom in basement as well with sink. 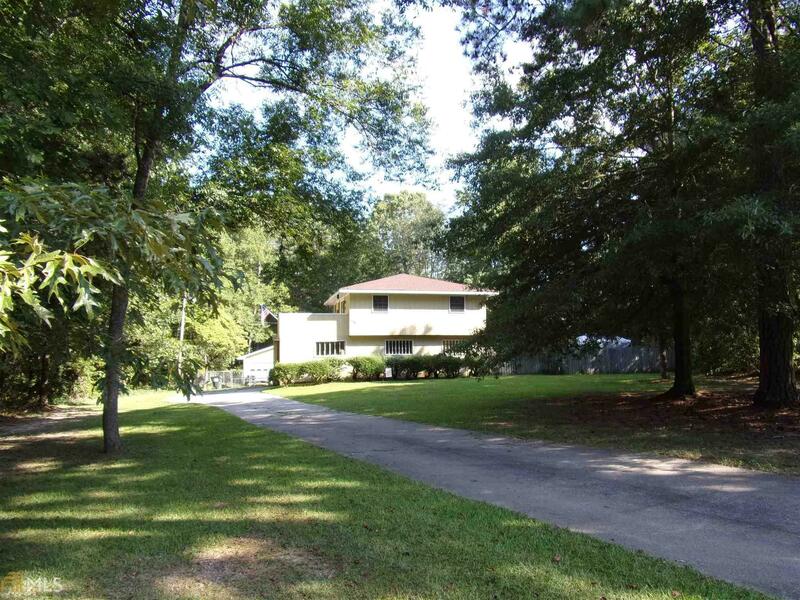 All situated on a 1.25 acre private lot. Fenced yard. Directions: I-20 E To Fairburn Rd. Right. Left On Burnt Hickory Rd. Right On McKown Rd, Right On S Martin Way.